Jesus' death was the most important act that Jesus' birth was meant to accomplish. Let's study some fascinating relationships that developed in Jesus' last moments. The conversations at the cross will intrigue you - I promise! Please read Luke 23:32-49 before starting GraspingGod.com's free Bible study lessons, #2.20. Previous lesson: Crucifixion Of Jesus #2.19. 1) Jesus, on the cross, asked God to forgive his murderers. Did God oblige? 2) What led the centurion to profess belief in Jesus Christ? 3) What were the key expressions by the chosen thief that led to Jesus' forgiveness? Jesus Christ was born so he could die, for you and for me. Jesus is the sacrificial Lamb sent to atone for our sins. Even during Jesus' death he was striking up new relationships. The situations he was involved in were never too large for his compassion and drive to forgive sinners. The Lamb of God was fulfilling the work of redemption with individuals, while suffering his worst trial. The word "redemption" is rather big and it has become a rarely used word, so let's look at a definition for redemption. Redemption means to "buy back." For instance, if you purchased a home with loan money from a bank and you've been making your payments, you are slowly but surely redeeming the house. However, if you had enough money to pay it back, then you could make a lump sum payment to the bank for total redemption of the house. You bought the house back from the bank - you redeemed the house. God owns you, me and all of humanity, because he created us. The sin Adam and Eve committed plus our own sins have all joined together to separate us from God. God sent us all away from his holy presence when Adam and Eve sinned. Fortunately, because of God's great love, he wished to reclaim us from the world. God therefore created a plan to redeem us, that is to say, he wants to buy us back. That's where Jesus comes to our rescue! God buys us back through Jesus' death. Jesus is our sacrificial Lamb. Jesus Christ is our Redeemer. Redemption is available to us, if we desire to be united with God. Jesus' death was no surprise to him or his Father. It was planned from before creation, also being prophesied in the Hebrew Scriptures. Jesus' relationships were also pre-ordained by God. Those people he met during his crucifixion and death are no exception. The Roman guards who flogged, mocked, beat and nailed him to the cross were impacted by Jesus' death. Jesus maintained his silence with the guards who directly tortured and killed him. The silence during Jesus' death was abnormal. Usually, criminals would voice their rebellious disgust at their executioners. They would die fighting. Jesus basically ignored the guards while being totally humiliated on the cross. They continued to mock him. They even gambled for his clothing under his pierced feet. The persecutors heard something, though, that came from Jesus' lips. 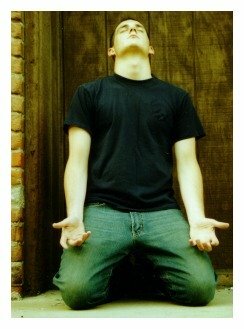 He said a prayer. Jesus was praying to the Father, asking him to forgive the executioners. Jesus knew the guards were totally unaware as to the magnitude of their actions. These men were following orders that came down from Pilate, though they seemed to revel in their despicable roles. Jesus, in spite of the sheer agony he was experiencing, asked God to forgive their sins. Jesus' death didn't exhibit self-pity, resentment, or malice. Jesus' death brought grace through the Lamb of God. Down deep in their hearts the guards were beginning to understand that this was no ordinary criminal. He wasn't convicted of anything against Rome. Even Pontius Pilate said there was no crime in which to convict him, especially to death on a cross. These men carried out this horrendous crucifixion almost to the death, and here this man is praying for them, while they continue to mock him. That didn't make sense! What?! Who is this man?! About that time, the acute darkness rolled over the land. Was this a sign of judgment from God?! The guards had to be seriously doubting their actions by this point. Jesus cried out, "It is finished" and took his last breath. The moment of Jesus' death a massive earthquake shook the land. That did it, these guards knew what happened now! Keep in mind, these were hardened soldiers who observed torture, mockings, and death on a daily basis. They no longer valued human life, because of the mortal nature of their job. But, Jesus' death was different! Jesus' death and God's ominous darkness and bone-rattling earthquake revealed the true identity of God's Son - Jesus Christ. 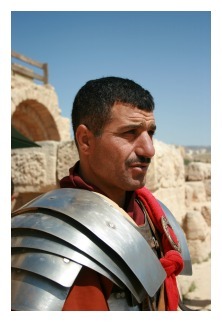 The centurion believed himself, but may have also been speaking for the guards under his authority. This Gentile man trusted in this Jewish Messiah. Jesus' death witnessed to who he was - mankind's Savior. There was yet another relationship established during Jesus' death. Both convicted thieves who hung next to Jesus began their last moments on the cross mocking him (Matthew 27:38-44). But Jesus didn't berate them in return - he remained silent. Jesus gave his life up on his own, fully knowing the magnitude of the sacrifice's effects. The necessity of his death and the soon coming resurrection were what gripped Christ's attention. These hideous criminals, even moments from their last breath, insulted God's Son. But, Jesus maintained his focus on his work. He knew one of these criminals had a heart for him, knowing the moment of salvation was near for this thief. 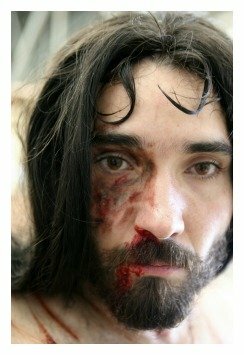 With great faith, created by Jesus' own witness, the thief humbly added, “Jesus, remember me when you come into your kingdom.” Jesus Christ, in a beautiful moment of divine mercy, granted this criminal eternal life, “Truly, I say to you, today you will be with me in Paradise.” (Luke 23:40-42). Jesus' death didn't bring bitterness, it brought love and mercy from our Lamb. This Jewish thief, who spent his life wrecking havoc throughout the community, met his Messiah. He was moments away from physical death. He learned helplessness in his last few moments on earth. He trusted in the Lamb who could save his soul. The One who has power to forgive used that power to save this lowly thief. Remarkable! Because of his faith in Jesus Christ, and in the sacrifice that happened mere feet away from him, a common thief inherited eternal life. He gained entrance to heaven because he believed in Jesus with his heart. His actions throughout his life were despicable, but he confessed them to Jesus Christ. The thief believed in Jesus as his Savior. Jesus Christ washed the thief's lifetime of sins away in a brief moment of a sinner's utter helplessness. Jesus snatched this criminal from the claws of Satan in a display of amazing grace. The thief who joined the other revilers faced the same death. He lacked faith, even faith the size of a tiny mustard seed (Luke 17:6). His pride stopped him from acknowledging the fact that he needed a Savior. He showed no helplessness. He refused to believe this incredible man hanging next to him was God's precious Lamb, sent to save the world from sin. He couldn't believe Jesus, even though there were no other choices. The foolishness of humans knoweth no bounds. He saw and heard Jesus grant the other criminal eternal life, but he didn't want to bother pleading for the same. This second thief was blind to judgment day, blind to eternal life and blind to the Messiah. Death approached the man. Life hung next to him. He preferred Death. This thief is still suffering in hell today, while his fellow thief is basking in God's beautiful Paradise (Luke 23:43). A thief who thought he had to steal for a living found out that God gives gifts beyond our wildest imaginations! A poor, broken, imprisoned, crucified thief is now one of the richest men in eternity! (2 Corinthians 8:9). Don't ever let anyone tell you that deathbed confessions aren't possible. Grace makes all things possible through Jesus Christ (Mark 9:23). This story is God's amazing grace at it's finest! Such contrasts displayed in these stories from Calvary! Oh My! Jesus' death reveals the starkest of contrasts in people's views of God. Satan blinds people to the Truth. Jesus enlightens people to the Truth. Some choose the Truth, while others ignore it. The enormous spiritual battles that take place in people's minds and hearts are intriguing. The centurion oversaw the mocking, beating and flogging during Jesus' death. He nailed him to the cross and hung a sinless man with convicted thieves. He mocked him some more. But Jesus' character attracted him, and after experiencing God's natural miracles, he publicly professed his new found faith in the Son of God! Jesus' death brought one of its first converts. Christianity was born this day on this hillside called Calvary. Jesus' death was being applied to sinners (2 Corinthians 5:21). The chosen thief spent a lifetime breaking the Ten Commandments, rightfully ending up on a Roman cross. He was mocking Jesus Christ who had never committed a sin in his life. But, the silence of Jesus and the prayer of forgiveness spoken by Jesus, touched his soul. Finally, this thief trusted Jesus as his Messiah. He expressed his faith to Christ and Jesus immediately responded. Glory awaited this man, as God stole him from the devil's grip at the last moment! Satan was seething in anger. The angels in heaven were rejoicing because yet another sinner had repented! (Luke 15:10). These stories arising at Jesus' death are inspirational to us. The love and grace Jesus displayed at the cross can aid us in our raging battles in the spiritual realm. Know that Jesus wants to save us, but like the chosen centurion and thief, we have to humble ourselves and express our faith to God. Every person is guilty of sin (Romans 3:10,23), each of us deserving our own cross. What decision will you make my friend? Which thief do you want to be - the condemned thief, or the chosen thief? 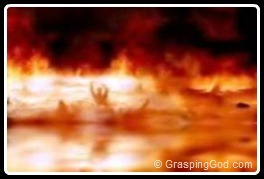 Which eternal home would you like to live in - horrific hell with Satan, or Paradise with the King of kings? Jesus' life was given for you - now you have to give your life to Jesus. Jesus' death brings an opportunity and places the choice at your feet. Will you respond by picking it up and turning to Jesus. Or, will you kick away the opportunity like the miserable, eternally condemned thief? 1) Think of your absolute worst sin you've ever committed. Compare it to the centurion's sin, which was killing God's Son and many other people. Jesus forgave the centurion. Will he forgive your most vile sin(s)? 2) Jesus and the centurion didn't speak directly, and the centurion expressed his faith after Jesus died. Do you think the centurion was eventually saved and filled with the Spirit? 3) Are deathbed confessions leading to salvation a possibility based on the chosen thief's experience? the One who paid the cost. After sharing this Bible study lesson on Facebook or Twitter below download your FREE printable Bible Study Lessons (pdf version): Jesus' Death, Lesson 2.20. 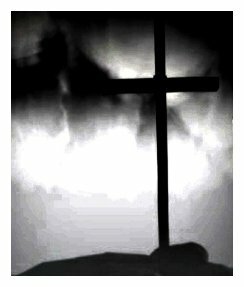 Special Note: I'm grateful to Big Book Media & Free Bible Images, Stock Exchange, Morgue Files, and Stock Photos For Free for the use of their photos for Jesus' Death Bible study lesson.